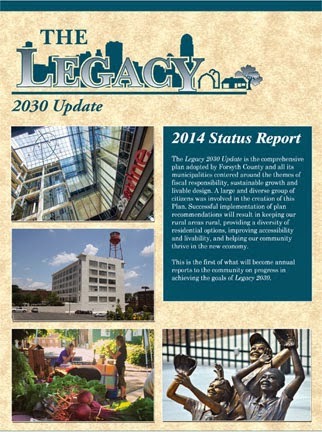 Legacy 2030 has once again been recognized as one of the best planning efforts in the country! 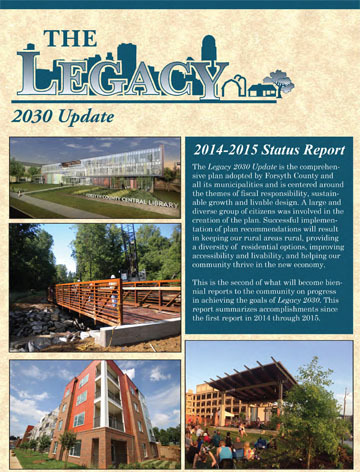 Even before it was adopted by all of Forsyth County's elected bodies, Legacy 2030 won the 2013 National Planning Achievement Award for Public Outreach from the American Planning Association. 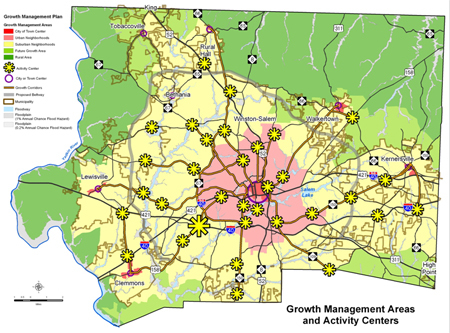 Now, the plan itself and the Winston-Salem/Forsyth County Planning Department have been honored again, this time with the Daniel Burnham Award for a Comprehensive Plan! Needless to say, we're truly honored. 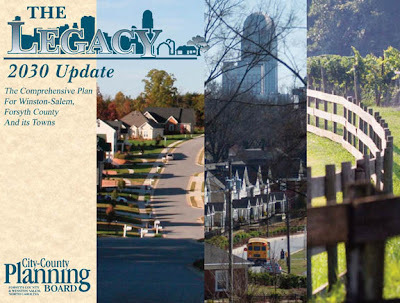 Thanks to all the citizens, board members, and elected officials who worked together to make our community more sustainable, better designed, and more fiscally responsible! The final version of Legacy 2030, the comprehensive plan for Winston-Salem, Forsyth County and its towns is now available online. Just click the links on the right side of this page to view each chapter. The Winston-Salem City Council and Forsyth County Board of Commissioners both voted unanimously to adopt the Legacy 2030 comprehensive plan this November. 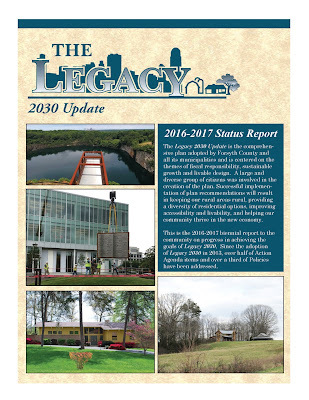 Legacy 2030 is built on ideas from numerous public meetings and will guide our community’s growth for the next twenty years. 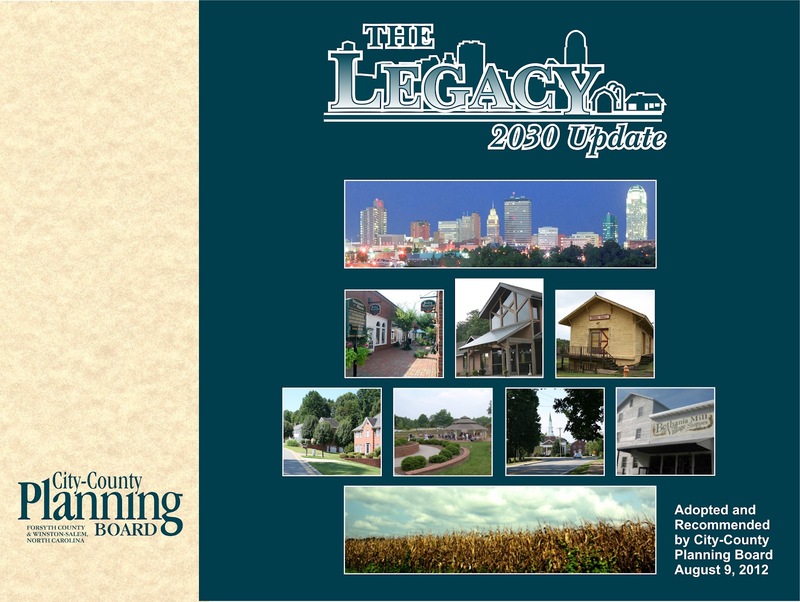 After hearing a great deal of public support for the Legacy 2030 comprehensive plan, the Winston-Salem/Forsyth County Planning Board unanimously adopted the document at their August meeting. The Winston-Salem City Council and Forsyth County Board of Commissioners will now consider its adoption to guide development for the next 20 years.